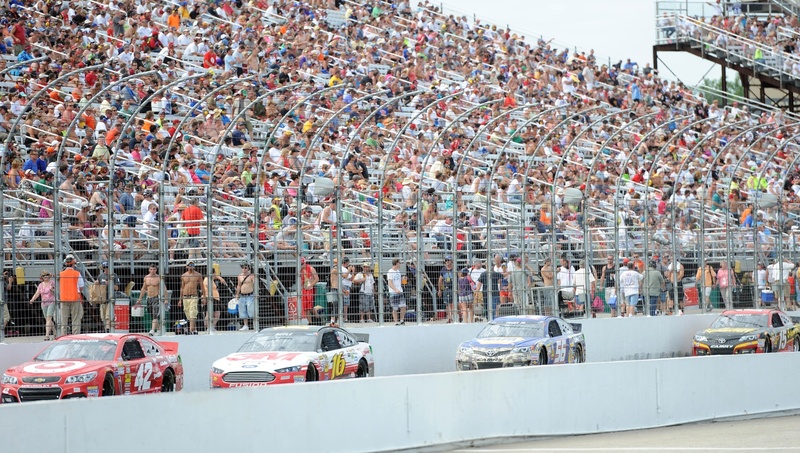 According to NASCAR journalist Mike Mulhern, NBC will be airing the second half of the NASCAR schedule in 2014. ESPN and Turner were attempting to end their relationship with NASCAR a year early, after the 2013 season, in an attempt to cut costs and let NBC, the new rights holder, take over. If NASCAR, ESPN, Turner, and NBC all come to an understanding, this will surely help fill up NBC's schedule next fall when they're not airing Notre Dame football and Sunday Night Football on the broadcast station, or the potpourri of second tier sports on NBCSN. As for ESPN, they'll just be able to continue to go all-out with college football coverage on Saturdays, though they'll lose a solid ratings producer on Sundays against NFL games on CBS and Fox. And hey, if the switch does go into effect, NBC will earn some solid counter programming options in July and August when they really have no meaningful football to air. If the switch does happen like Mulhern has claimed, the transition will be happening sooner than we though.